32-page practical guide for care homes, retirement schemes, and others catering for older people. Outlines why anyone becomes vegetarian or vegan and contains catering tips for busy cooks and a 4-week menu planner. Oh, by the way, the new arrival’s a vegetarian… If you’re in charge of catering, and despite your best intentions, these words are likely to cause an immediate response: one that is quite possibly negative! But, don’t despair. With a little thought and planning, vegetarians and vegans need not create a lot of extra work. This guide makes it easier to make meals an enjoyable experience for your vegetarian or vegan diners. 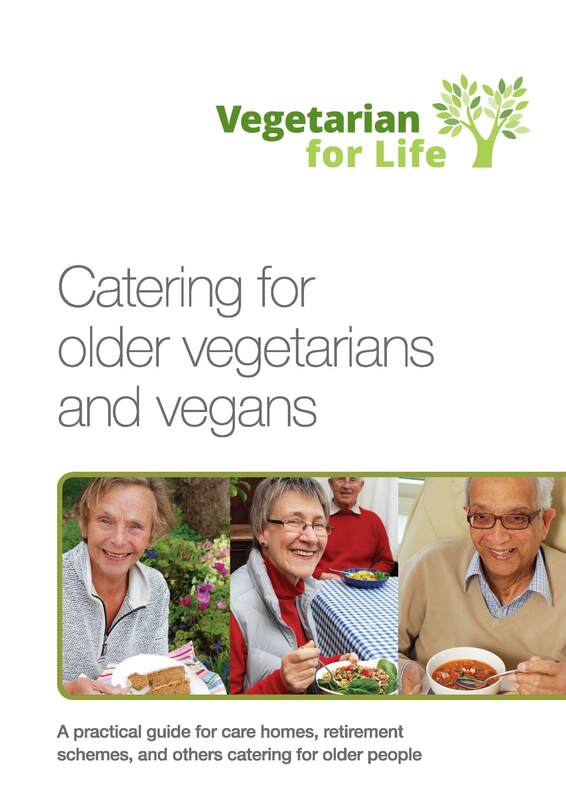 Perhaps you’ll get a few tips to help in catering for your non-vegetarians too? The Guide primarily provides advice for those catering for older people. It includes an introduction by Rose Elliot, our patron, lots of practical advice, recipe ideas, a menu planner and a section on health and nutrition.